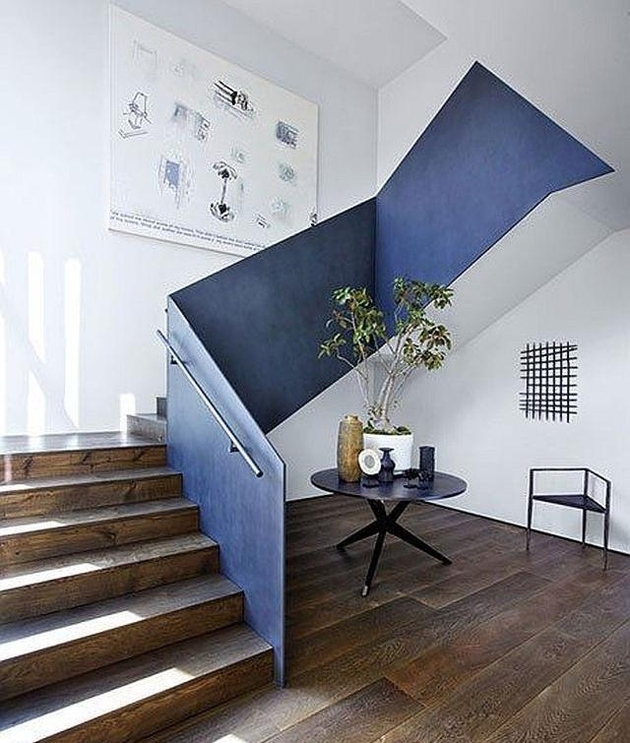 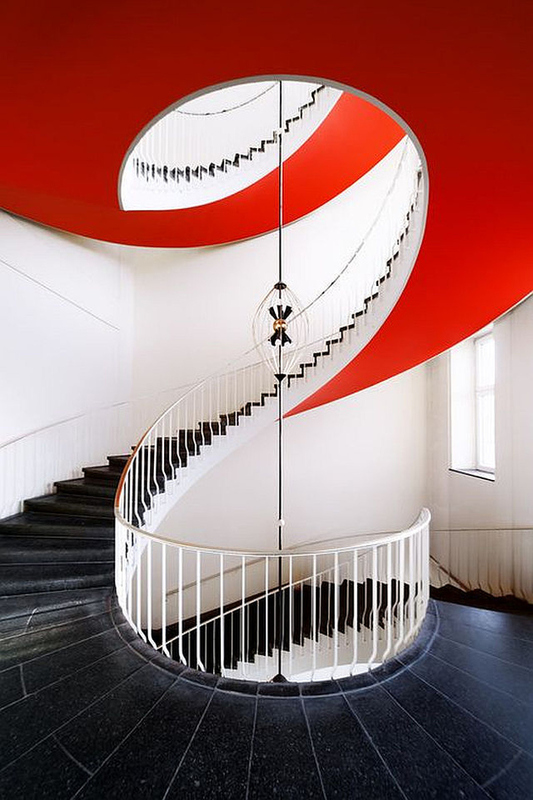 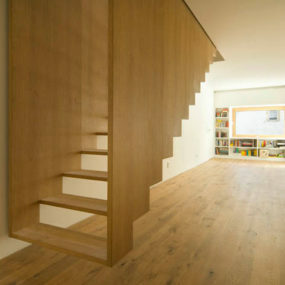 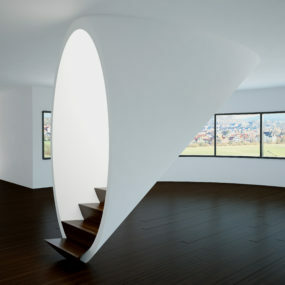 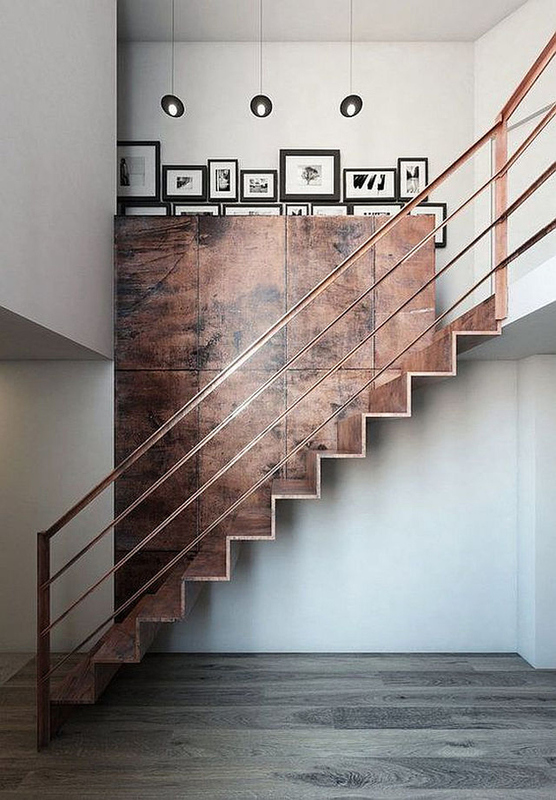 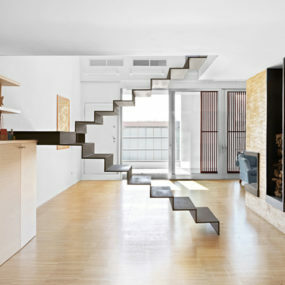 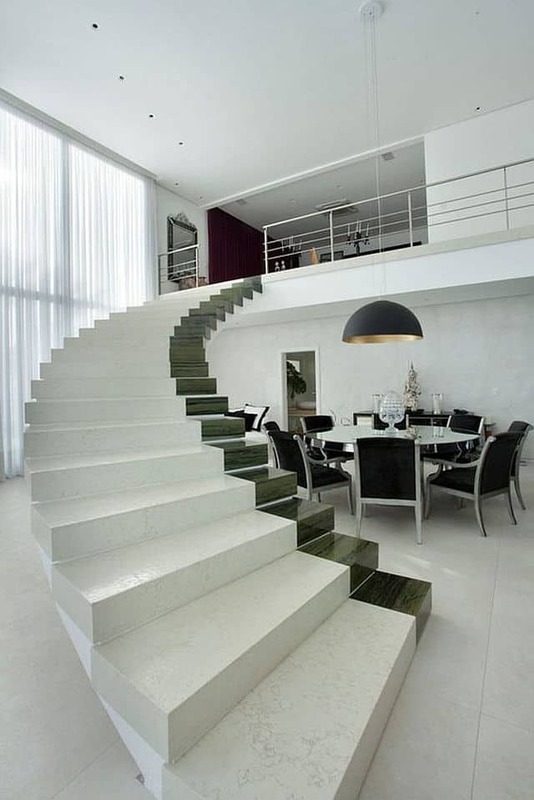 Modern interior designers use staircases as decor objects more and more, and the idea of having colorful staircase designs must now be considered when designing a modern home. 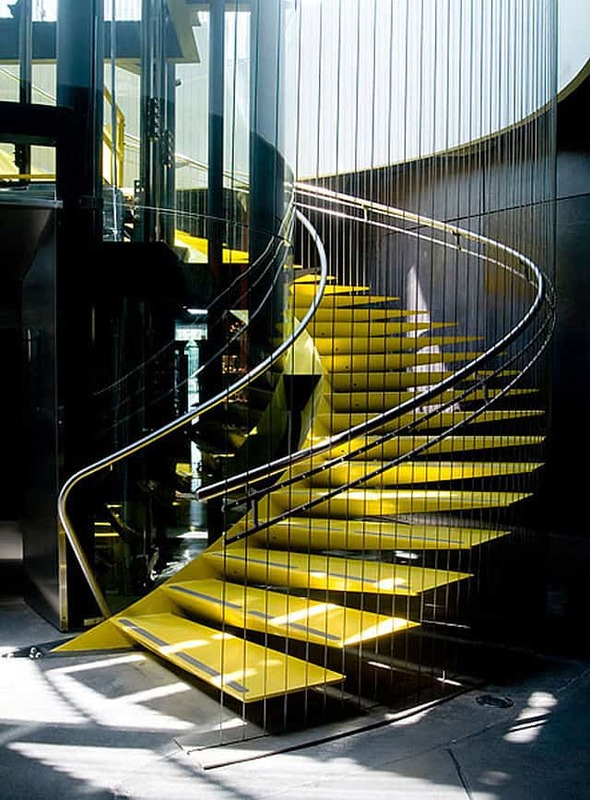 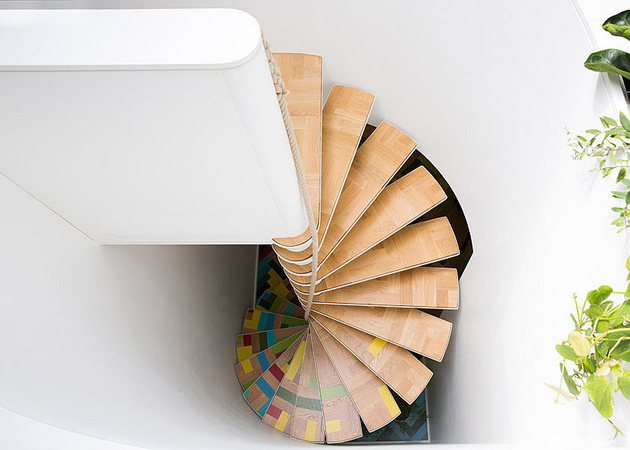 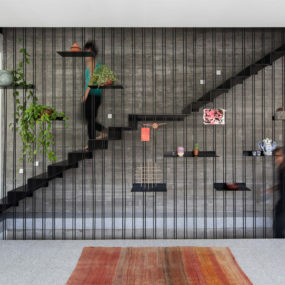 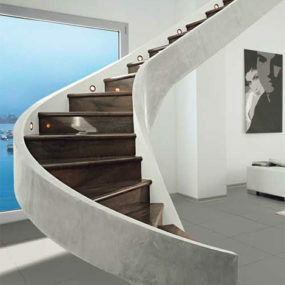 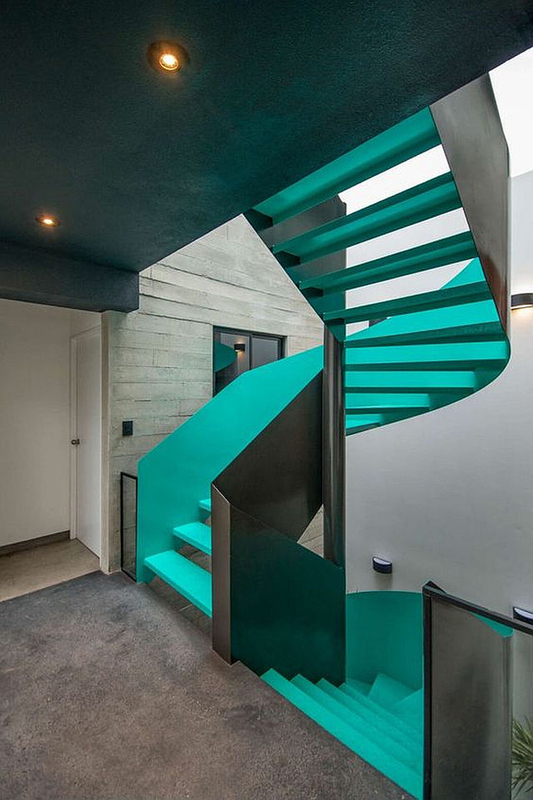 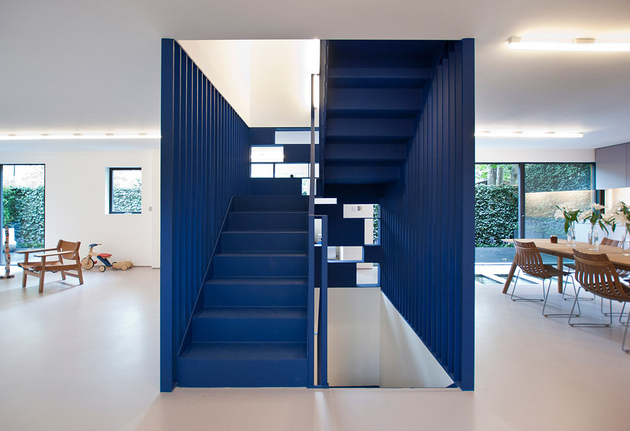 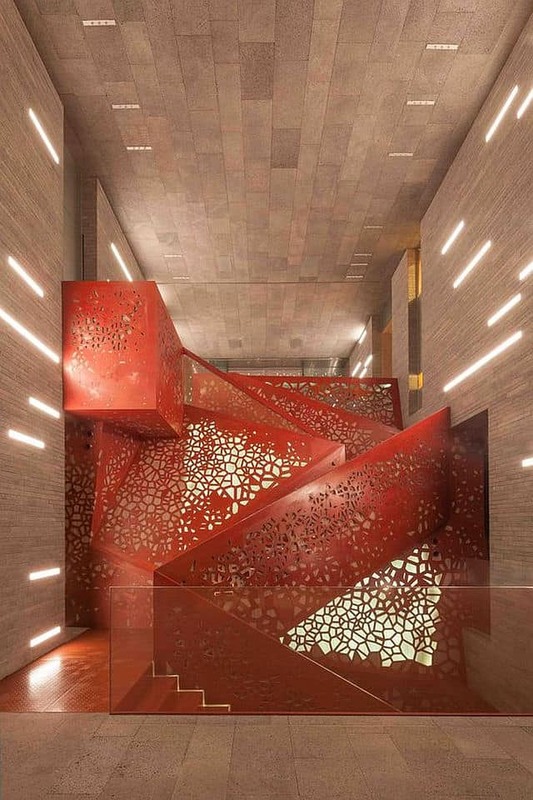 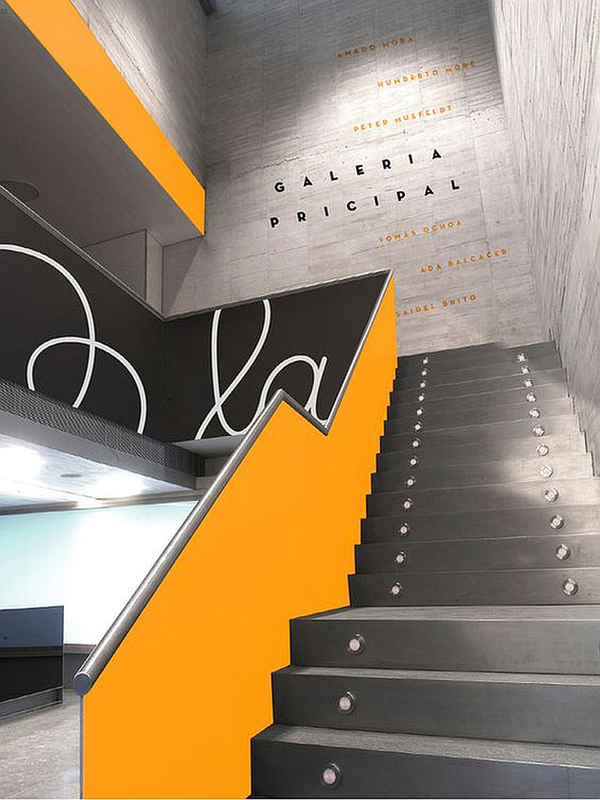 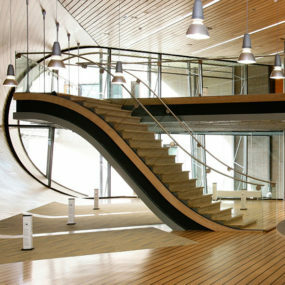 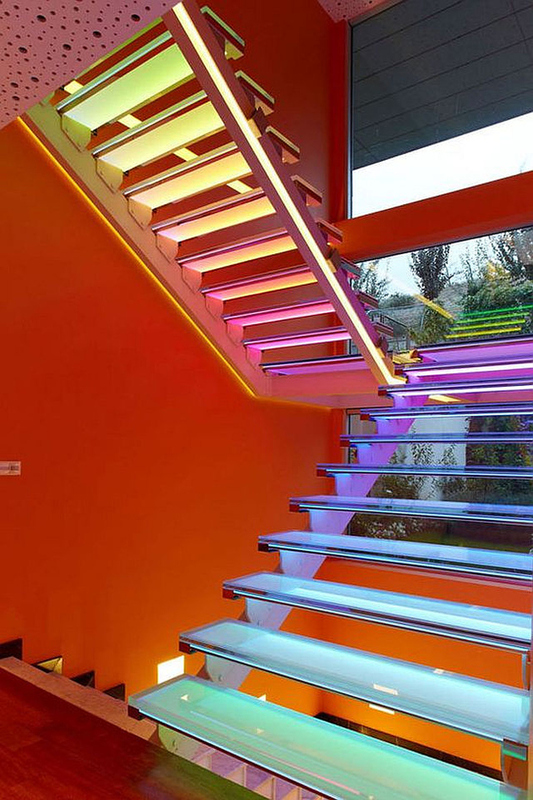 And the staircase presents many different options to implement a colorful design – structural features such as treads, risers, balustrades and handrails all can be color decorated separately. 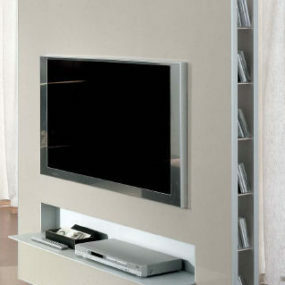 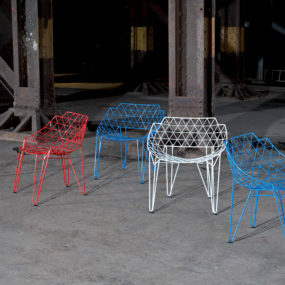 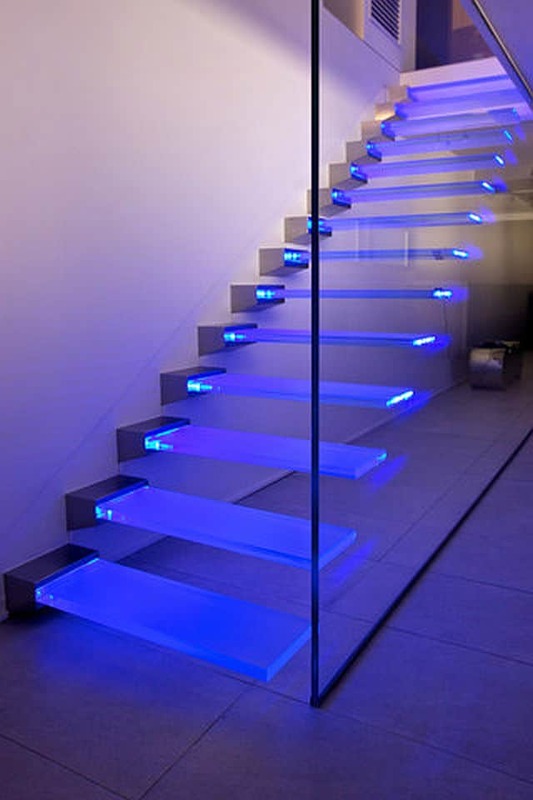 They can be painted, stenciled, finished with colorful tiles and even lit with LED colors. 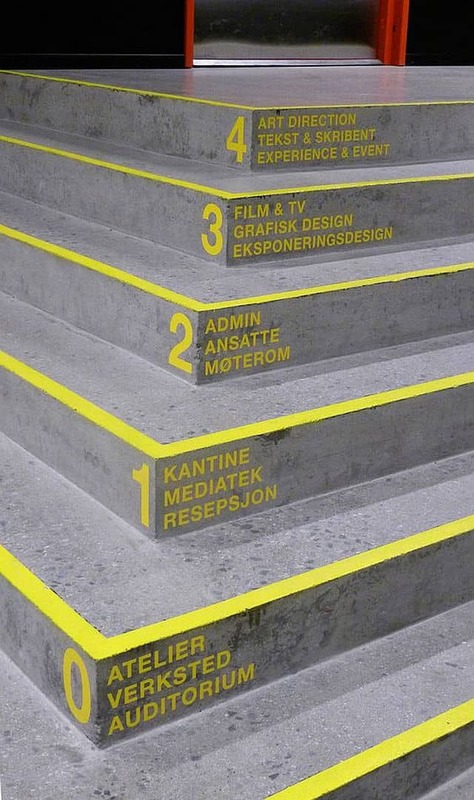 The 30 examples below will give you a very good idea of what can be done. 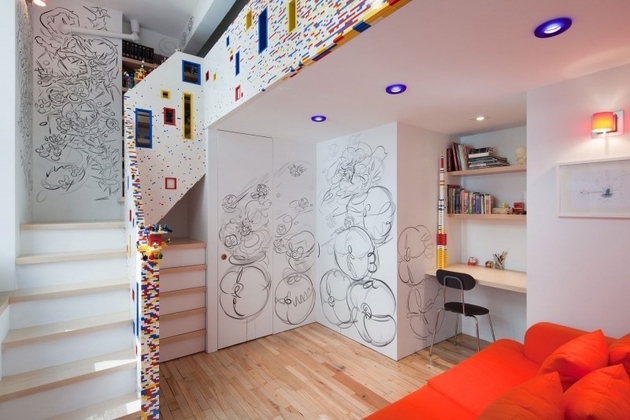 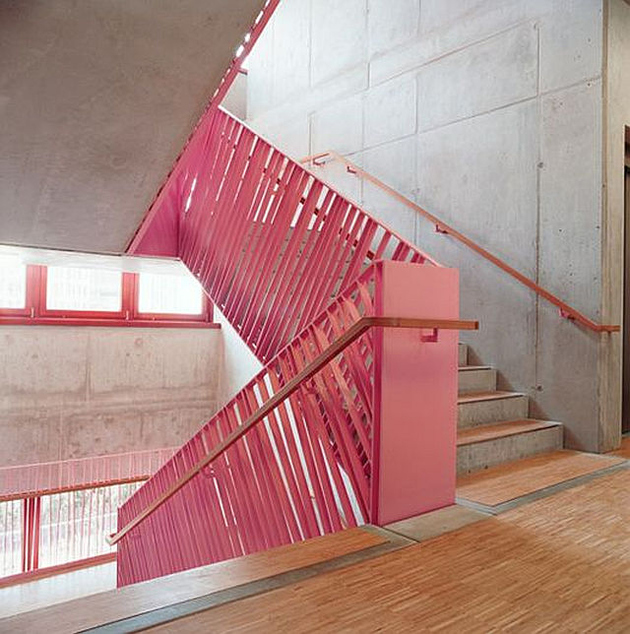 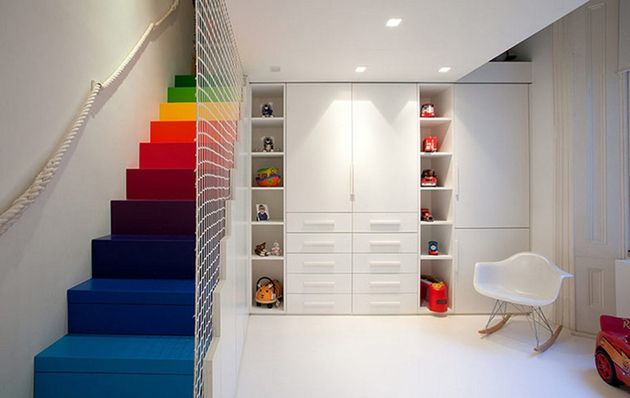 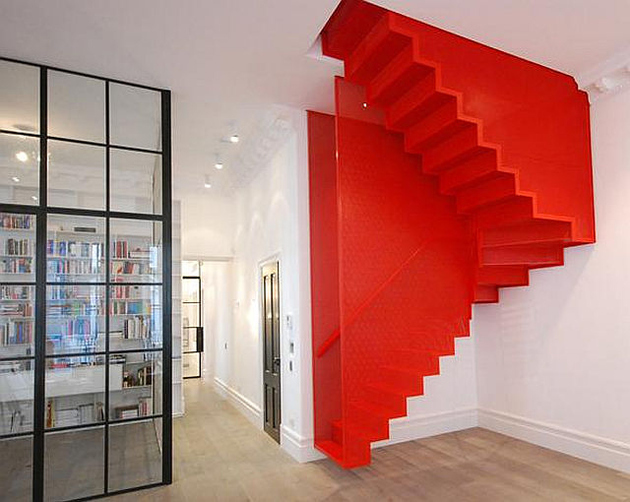 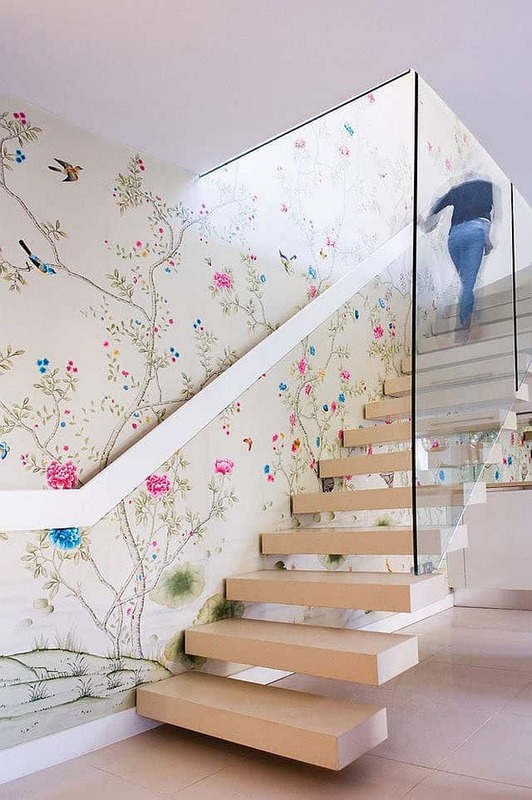 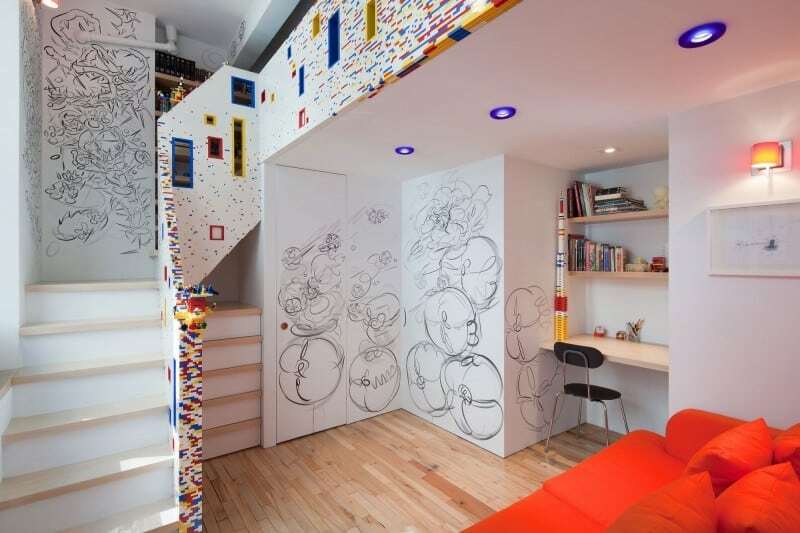 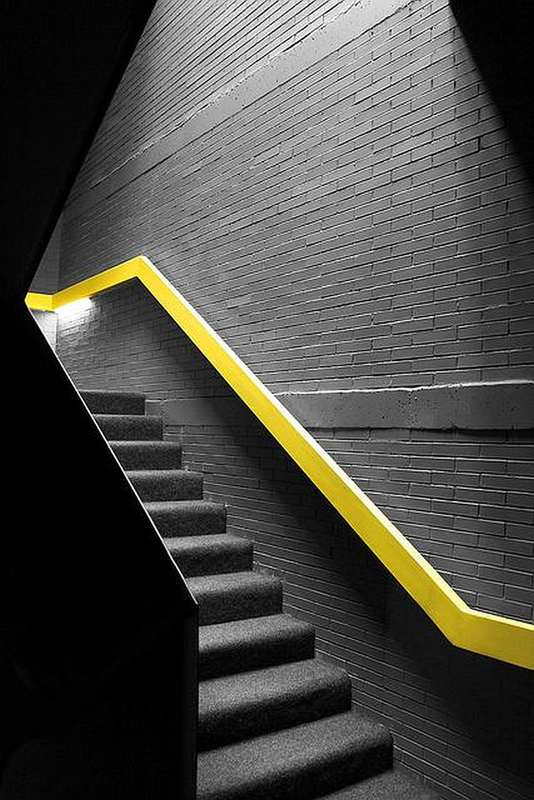 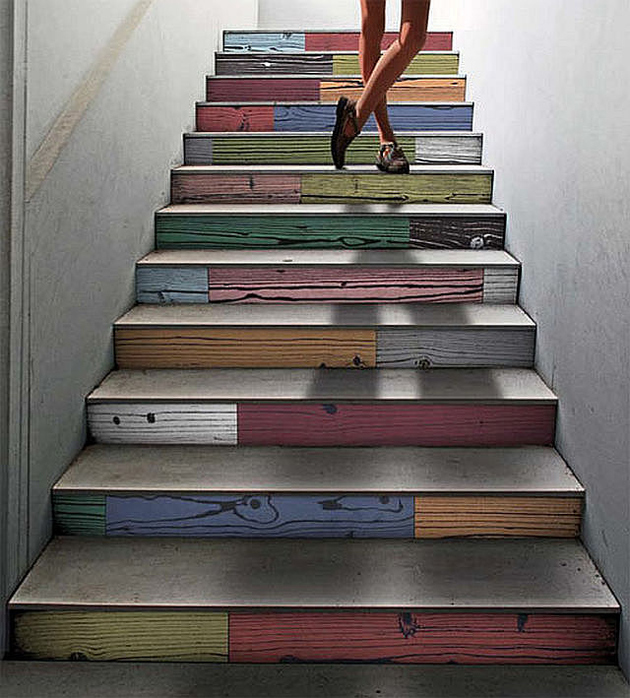 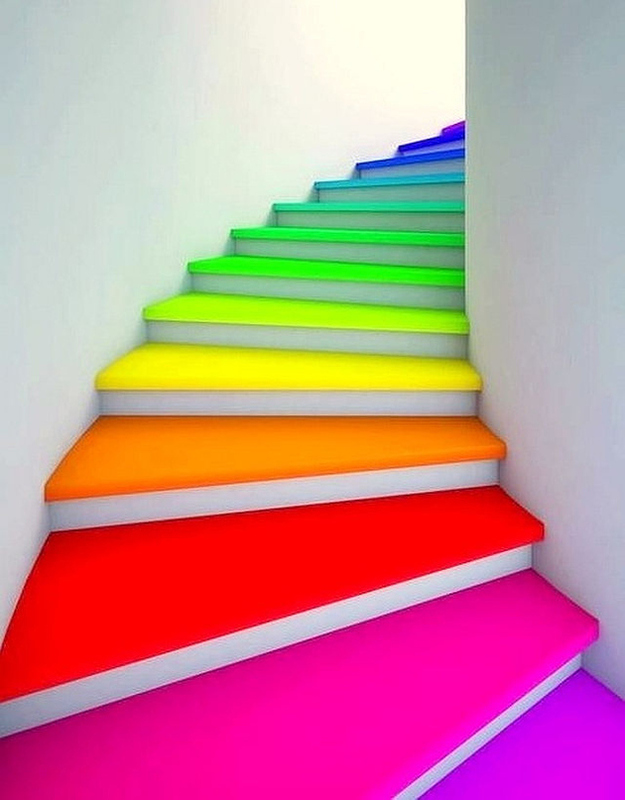 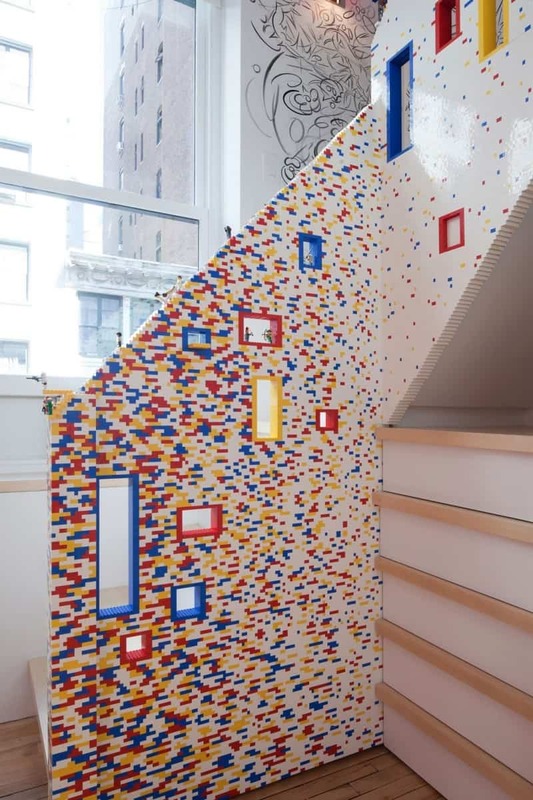 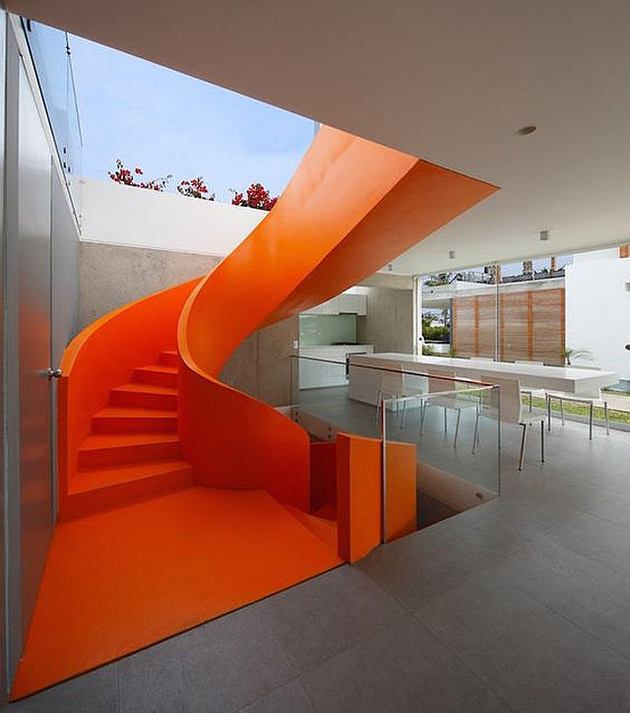 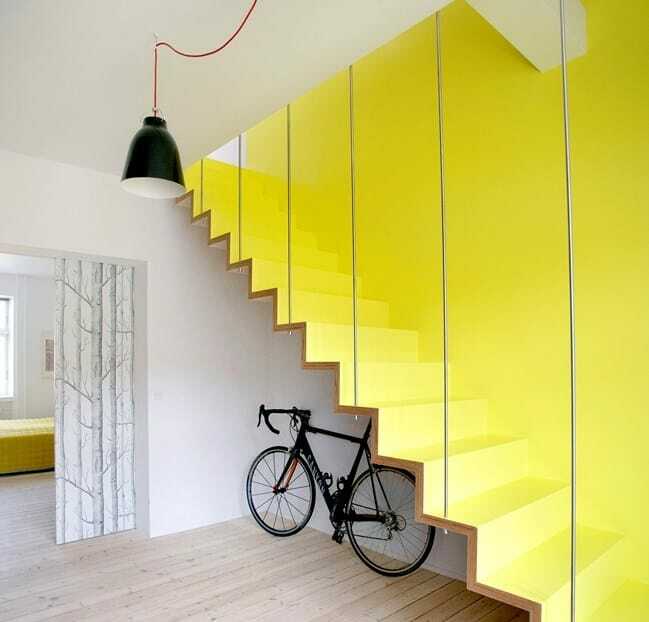 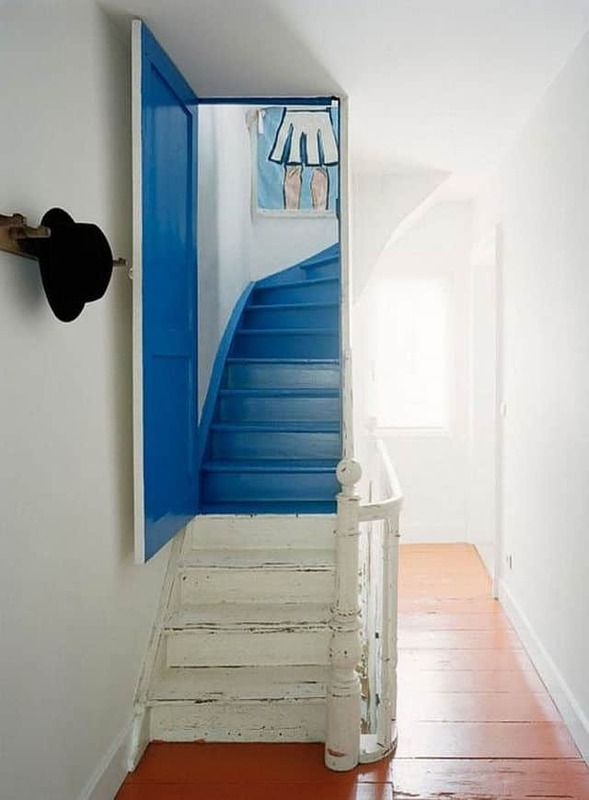 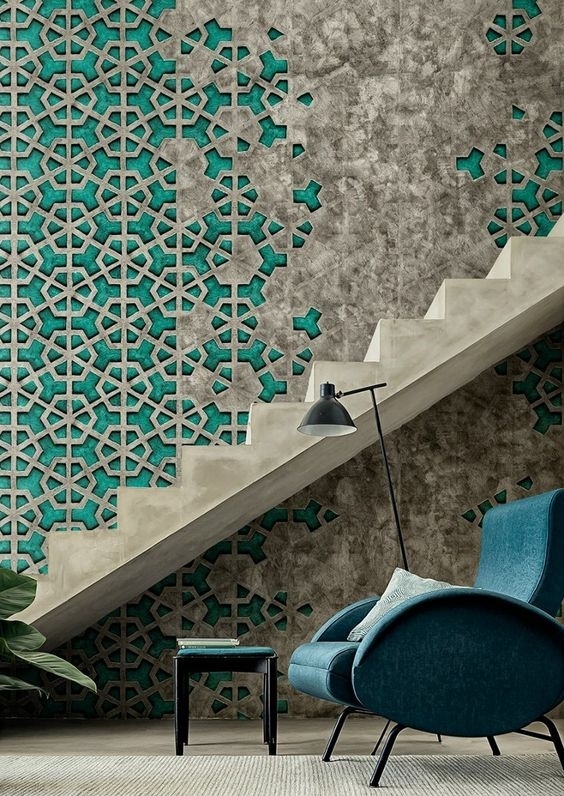 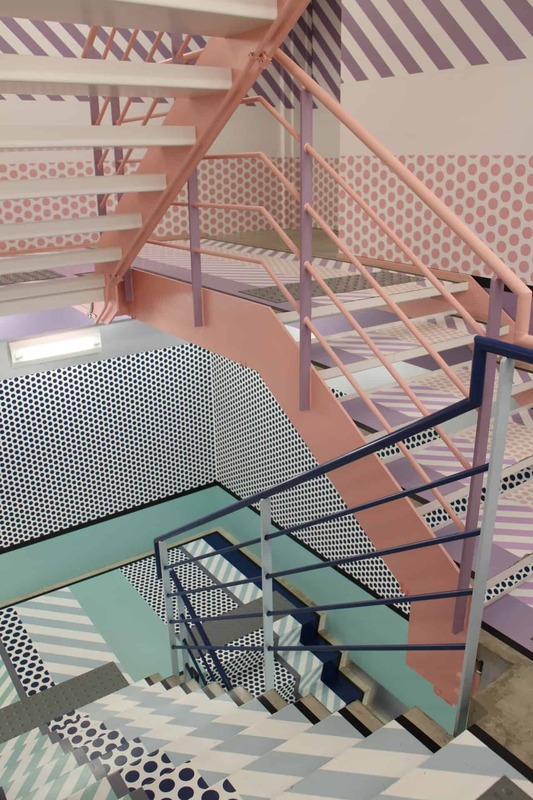 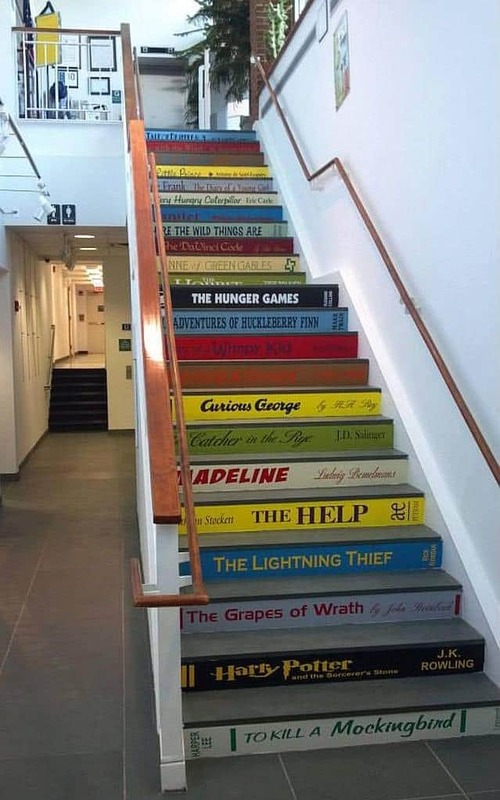 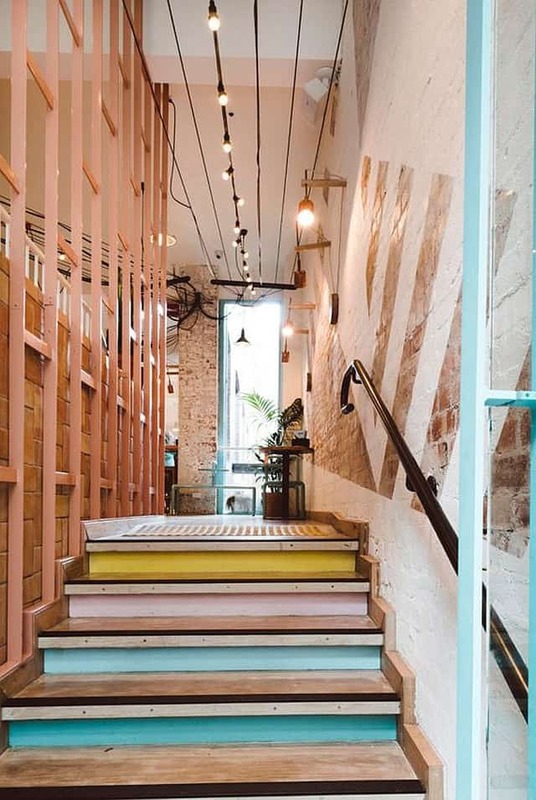 Color is such a great way to personalize a space and not just for staircases! 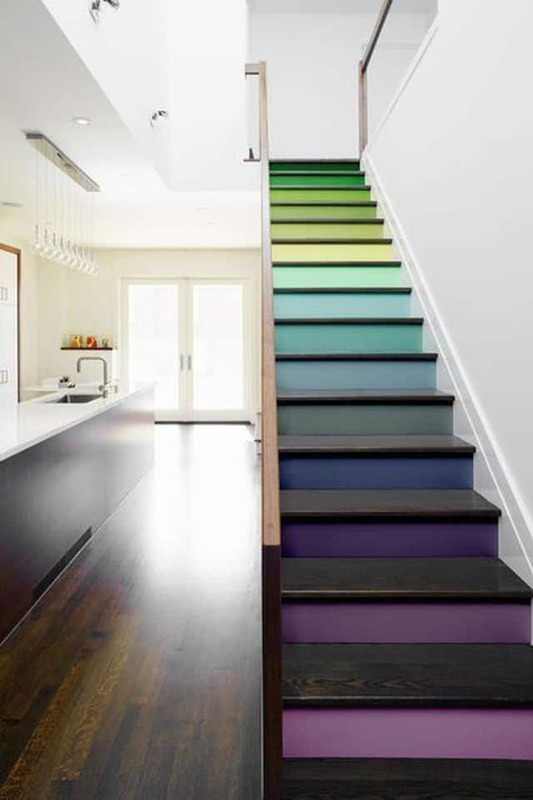 Check out our Color Interiors section for more colorful ideas on how to add a little extra flare to your interior design schemes. 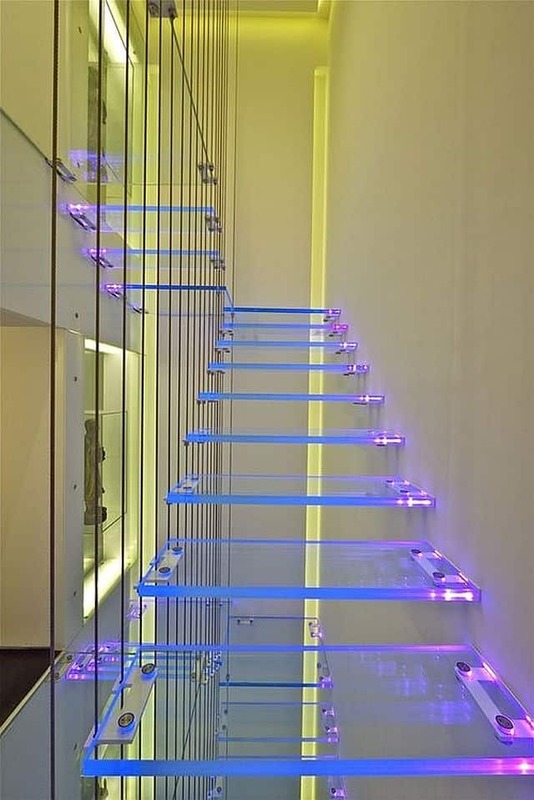 Also, if you as intrigued by the LED lit stairs as I was you might enjoy our featured unusual LED light designs for home interiors.